If you find yourself with travel plans that fall within these examples then booking Rail Seat Reservations in advance of arriving in Britain is a great way to ensure you don’t miss your selected train! It’s easy to make a Britain Seat Reservation by entering your route for almost any inter-city train, and selecting the train departure time that suits you best. A valid Rail Pass is required and you will be charged a nominal fee per person, per train. A Britain Seat Reservation is valid for the specific train, date and time selected at booking. 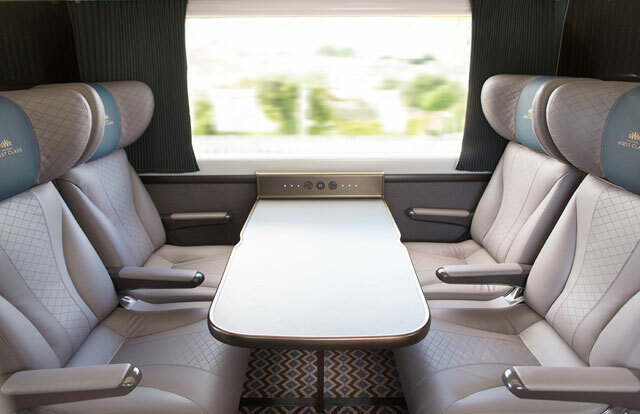 Seat reservations are available in adult fares, in either First or Standard Class but please note that the Class must match the Class on your BritRail Pass. In other words, if your BritRail Pass is valid for travel in Standard Class then you cannot make a seat reservation to travel in First Class. These reservations are for Britain Pass holders only. The Pass must be valid for the date of travel indicated on the seat reservation. These Seat Reservations are available to everyone. Simply print out the itinerary and bring it on board to show train staff the NRS Booking Reference # along with your valid Rail Pass.